OK, I’m not that shocked. New Zealand Gang Leader: We Will Not Give Up Our Guns. Black Power member Denis O’Reilly echoed Fatu’s sentiment when asked if his gang would hand over their guns. A post from 2014 on the NRA Museum has been active in my stats, for reasons that aren’t clear to me, but I thought I would revisit it, since the links have changed in the past few years. (I hate it when people do that.) Crown Jewels. 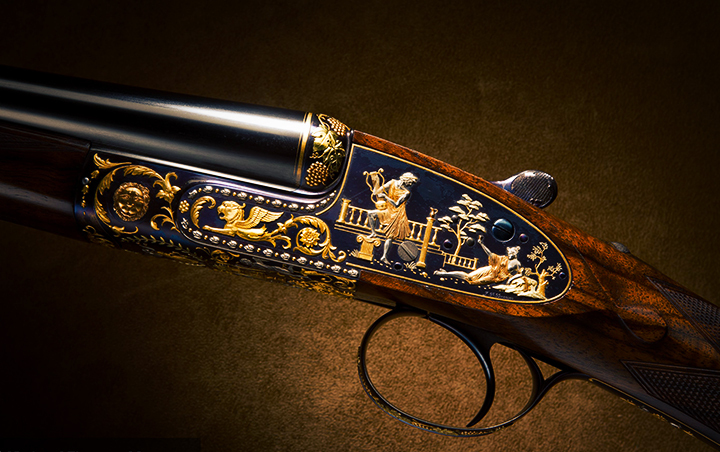 This part of the gallery includes Annie Oakley’s Stevens pistol, The Holland and Holland side-by-side shotgun, pictured (click the image for a larger view) and a Purdey .600 Nitro Express, Double Rifle with deep relief engraving and gold background inlay. These are works of art, as much as they are firearms.